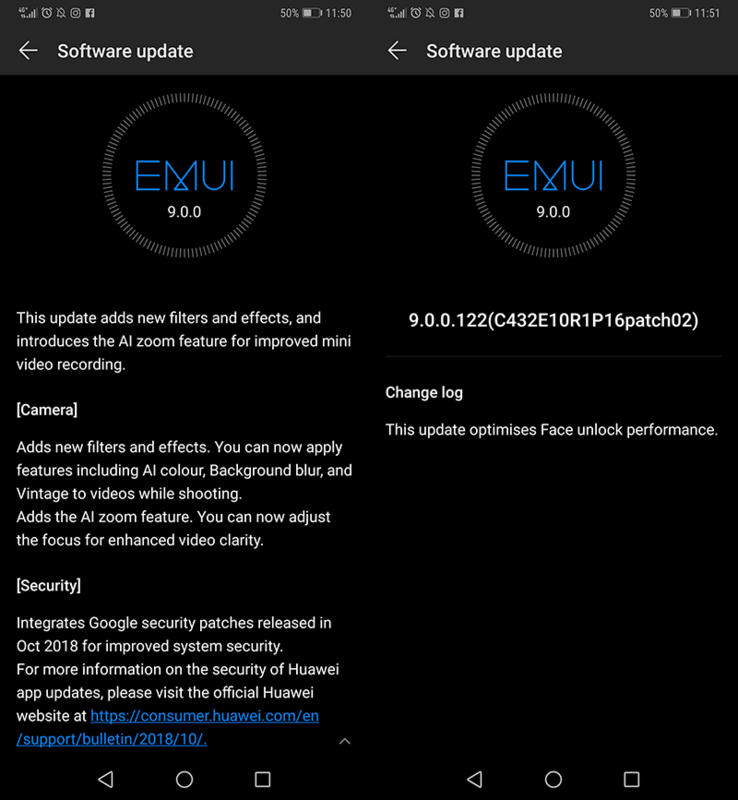 Huawei already has another update for the new Mate 20 Pro flagship smartphone. The software upgrade comes with around 359MB in size. The update adds new filters and effects. You can now apply the AI color, background blur, and vintage filters to videos while shooting. It also goes with the AI zoom feature for improved mini video recording. You can now adjust the focus for enhanced video clarity. In addition, Huawei added the October 2018 security patch from Google. It is for improved system security. The update of Huawei for the Mate 20 Pro will also improve the performance of the 3D face unlock. 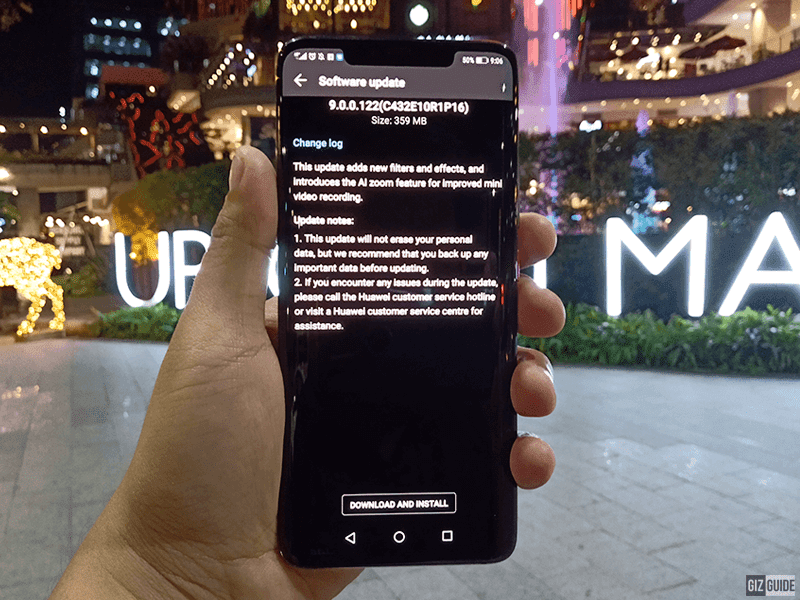 After the update, you should be running with EMUI 9.0.0.122. To manually update, just go to the settings then system and press system update. Also, make sure that you have stable internet connection and enough battery life. The Huawei Mate 20 Pro will be available later in the Philippines for PHP 49,990. To read our unboxing and impressions, click here.